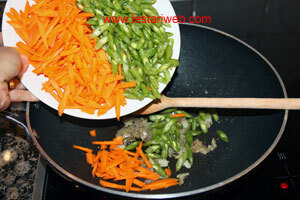 Grind or blend the garlic, pepper, candlenut until smooth. 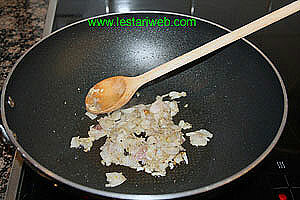 Crash the shallots and slice finely and mix together. The shallot should not grind together until smooth as that's the secret to get the best taste. 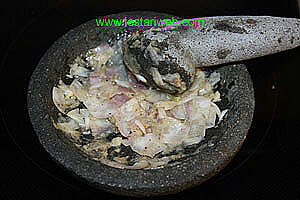 1Put all ingredients for the paste (except Shallot) in a mortar / grinding stone and grind until smooth. Pound the shallat just raoughly at last. 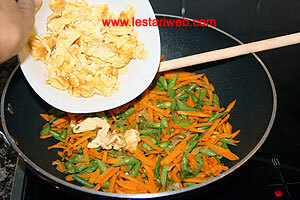 2Heat 2 tbsp oil in a fryingpan and stir fry the beaten eggs. 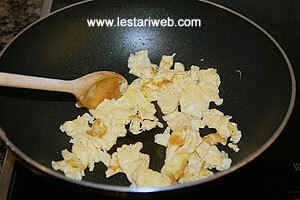 Stirring quickly to get it scrambled. Keep aside. 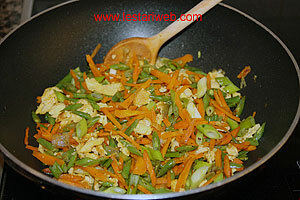 3Heat 1 tbsp oil in those used frying pan and stir fry the paste. Stirring all the time until fragrant. 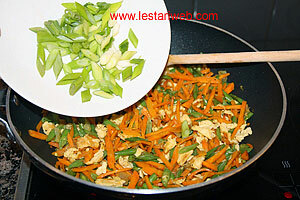 4Add carrots and French bean and stir fry until the vegetable are cooked. 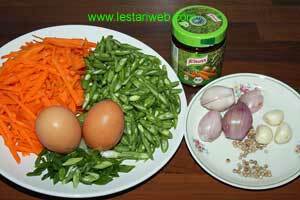 5aAdd the scrambled egg and broth powder. 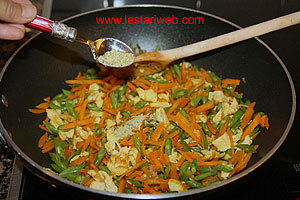 Stir to mix. 6Add the spring onions, cook shortly until just wilted. Stir to mix. 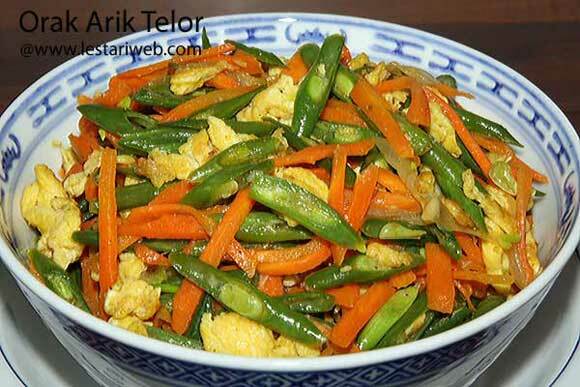 7Add salt to taste. Serve right away.